In 2015, videos were the most widely used file format in social networks. In addition to home recordings and funny short clips, various types of product videos spread quickly all over the globe. And it is not only the lavishly produced slick films that find their way to their target groups; it is above all, the videos with added value that attract the attention of the user. Using multilingual subtitles, an operating manual can be made internationally usable and a product presentation for the domestic market can be turned into a production for the international market with little technical effort. 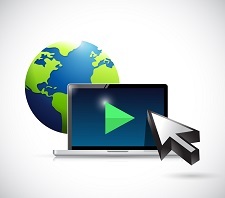 Websites that are offered in multiple languages also provide their users with a choice of language for the videos, and by using subtitles in the respective user's language, viral distribution is rapidly accelerated. Subtitles in different languages are low-cost alternatives to dubbing. When it comes to preparing their own videos for foreign markets, companies cannot and do not always want to afford to use professional dubbing actors. Multilingual subtitles quickly reach target groups anywhere in the world, because the technical costs are low, and at the same time such productions are suitable for people with hearing impairments who rely on a written account of the conversation. Simply contact us without obligation by email or phone and we will be happy to discuss your individual wishes and ideas. Our company works together with language experts from more than 100 countries and we are happy to make use of our diverse experiences in the area of multilingual subtitles for videos. We look forward to your enquiry.